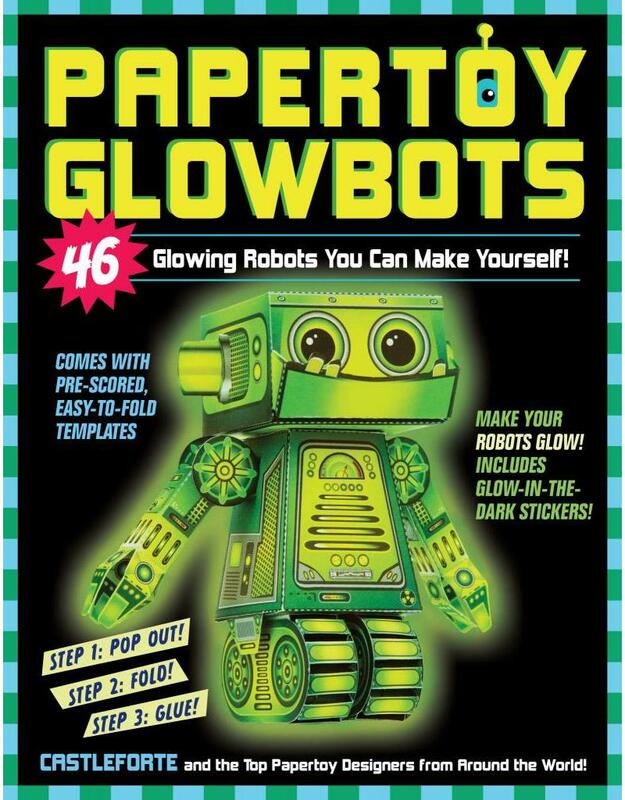 PaperToy Glowbots comes with 46 glowing robots you can make yourself. 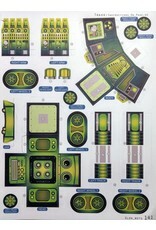 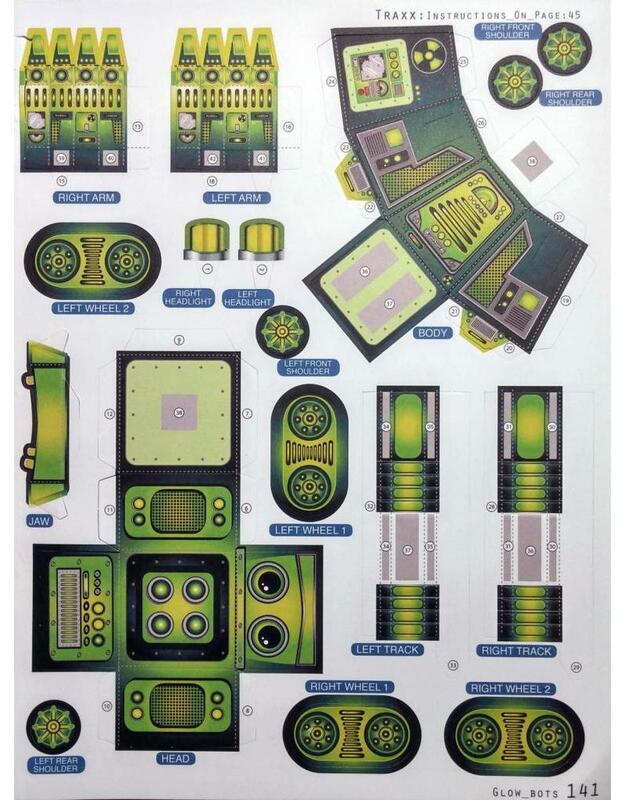 Pop out a template, fold, glue the tabs and you've just made your first robot. 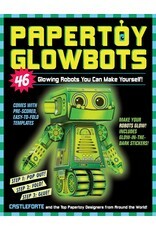 They are easy to put together, which means you can slowly amass a whole collection of glowbots to play with. 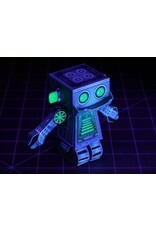 Some robots come with glow in the dark stickers. 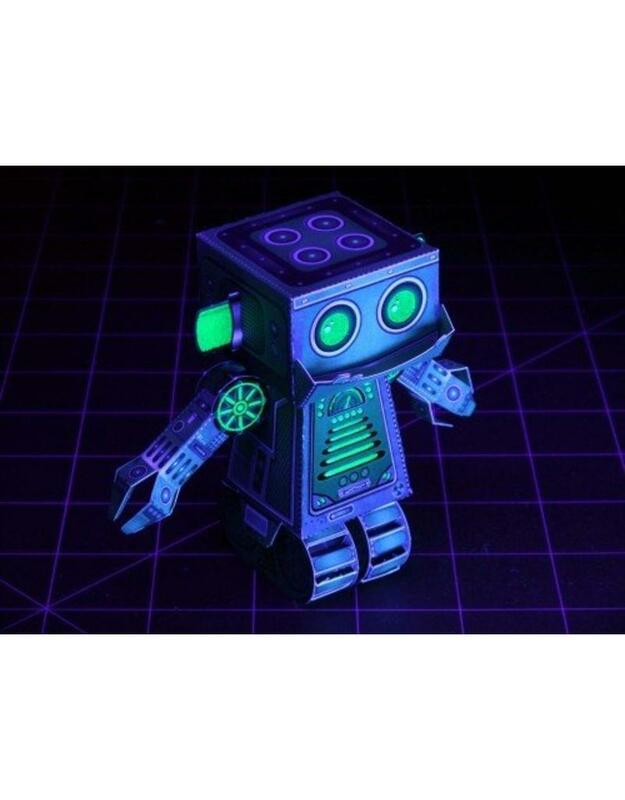 Others are designed to be lit with an electric tea light, flashlight, glow stick, or even your phone.